China is a peculiar combination of a domestic status quo power and a rising international power. An effective U.S. China policy is best built on a thorough assessment of the context in which Sino-American relations exist and operate. We need to consider what our institutions are capable of before declaring foreign policy goals. Hoover Institution fellow Ambassador Karl Eikenberry walks through four major areas: policy and strategy; on 'Grand Strategy;' assumptions about interests, power and capability; and on the use of military force. Since World War II, American hegemony has led to peace and prosperity for most of the world. Now, the international landscape is changing. These organizations, flawed though they may be, enhance international cooperation and can help solve international security problems. There are four key areas of threat to which the United States should respond. The failure of states in the region since the Arab Spring poses threats to U.S. security. The failed states of West Africa and the Middle East have given rise to movements like ISIS and Boko Haram. Why America’s approach to failed states has been overly ambitious. When does chaos abroad require an American response? Transnational terrorism, cyber-security, and Russian violation of accepted international norms in the Crimea have posed unique challenges for the United States. 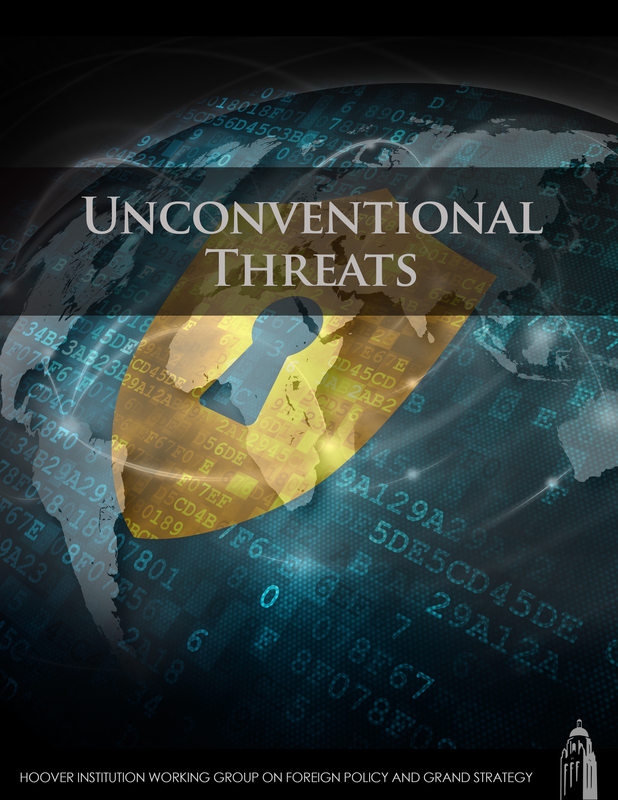 This set of essays suggest how these threats might best be understood and met. The Hoover Institution today released Pragmatic Engagement Amidst Global Uncertainty: Three Major Challenges, a national security strategy written by the Hoover Institution’s Working Group on Foreign Policy and Grand Strategy. The Hoover Institution's Working Group on Foreign Policy and Grand Strategy will explore an array of foreign policy topics over a two-year period. Our goal is to develop orienting principles about the most important policy challenges to better serve America's interests. The certainties of the Cold War, such as they were, have disappeared. The United States now confronts several historically unique challenges, including the rise of a potential peer competitor, a rate of technological change unseen since the 19th century, the proliferation of nuclear and biological capabilities, and the possible joining of these capabilities with transnational terrorist movements. There has been no consensus on a grand strategy or even a set of principles to address specific problems. Reactive and ad hoc measures are not adequate.